Lucky me! I had just enough time between laundry and packing for vacation to play another challenge. 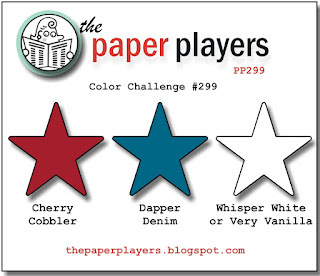 I chose the sketch from the Paper Craft Crew Challenge for my inspiration today. Since I didn't have much time I went right for my favorite suite in the catalog, the Floral Boutique Suite. I love everything about this suite! I especially love the navy and white color scheme. How classic! 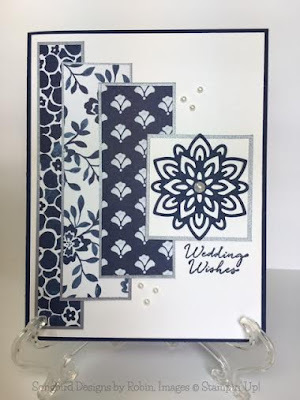 I layered Whisper White Cardstock and a piece of beautiful DSP on my Night of Navy card base. For the center panel, I applied a piece of the suite's washi tape for the strip at the top. 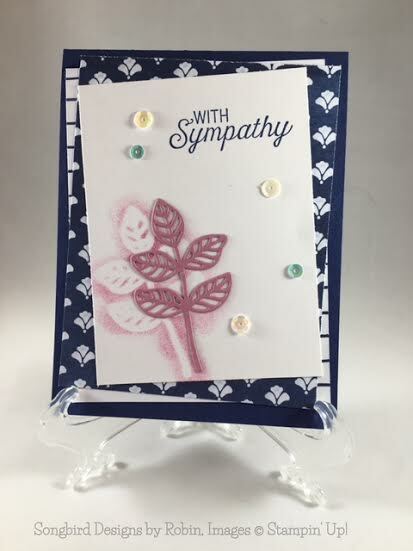 Next I stamped and embossed the floral image and sentiment. For the detail work in the top right hand corner, I punched out a butterfly and tied a white baker's twine bow. It took no time at all since I stuck with the products in the gorgeous sweet suite! I'm getting some last precious moments in my studio before I leave for 3 weeks to visit family in Texas and Iowa. Never fear, I will be stamping on the go! I have a couple of Paper Pumpkins packed along with the new Designer Tin of Cards Kit. I'm looking forward to spending time with these goodies. 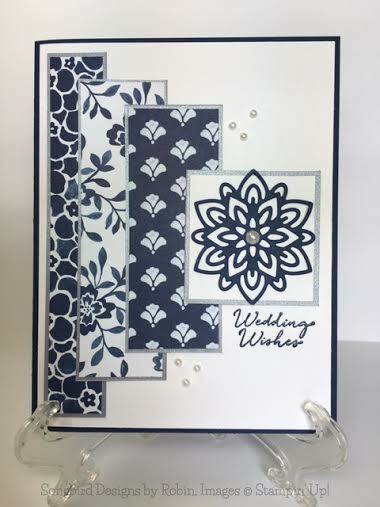 I started with a Basic Gray card base and topped it with the diagonally striped paper from the Neutrals Designer Series Paper Stack. I then punched a 2 1/2 in circle. I backed the circle with Smoky Slate Cardstock on which I had stamped the Flourish from Timeless Textures. 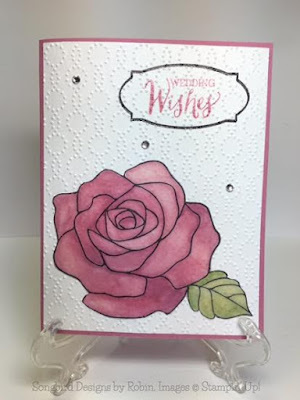 I stamped the three step flower from Picture Perfect using Pink Pirouette, Flirty Flamingo and Rose Red. I fussy cut it and added it to my card with Dimensionals. My sentiment is from the Love You Lots Stamp set. 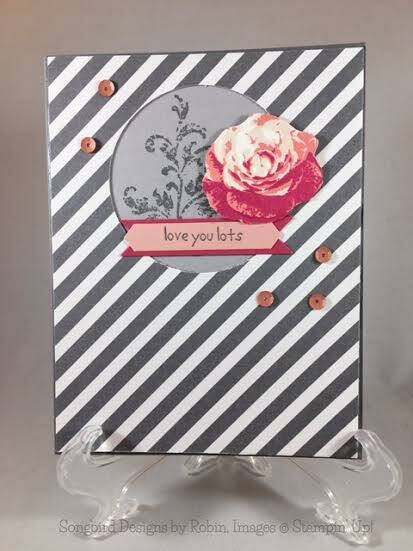 I stamped it in Basic Gray on Pink Pirouette Cardstock. I then punched it out using the new Classic Label Punch. I backed it with a banner of Rose Red. Some pink sequins add the bling to this classic card. It is a fun sketch! Why don't you hop over and play along? I think I did pretty well considering I'm on heavy duty pain pills. Nothing keeps us stampers from our craft! The DSP is from the Pop of Pink Specialty DSP pack. The flamingo and leaf are from the coordinating stamp set Pop of Paradise. The sentiment is from new set Here for You. It has an inside sentiment to go with it that says, "and sometimes it's a pain in other places too." I love this set and have already used it several times. My pain happens to be in my mouth, but I can commiserate with the flamingo! I am not a huge sports fan but I do like baseball. Triple plays are a big deal when they happen and I have a card that makes a triple play today. I'm playing along with three challenges today and I hope I hit a home run in your opinion. One of the challenges I'm participating in is the SU-Only challenge #151. 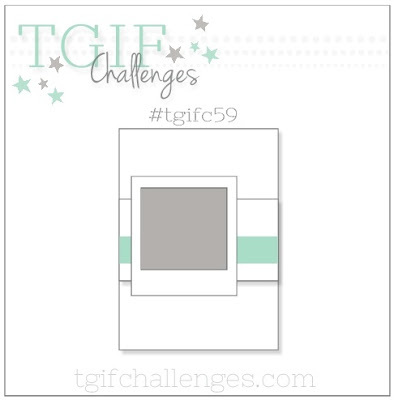 This challenge wants us to use our favorite new papers. My favorite hands down is the Floral Boutique Designer Series Paper. I love the elegant look of the Navy and White color theme. The second challenge is over at Stamp, Ink, Paper #53. 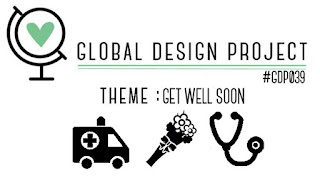 This challenge has us CASEing our favorite design team project. I chose to CASE Lisa Altman's card for my sketch. I like Lisa's use of DSP and I also like the sponging and pretty sequins. I would never have thought to put these three colors together, but I adore them! 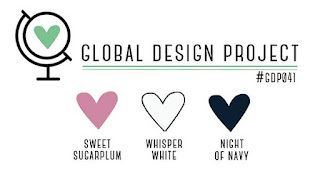 My card is mostly Whisper White and Night of Navy. I added my Sweet Sugarplum by using a die cut from the Flourishing Thinlets Dies. I first used the die as a stencil and then added the leaf on top. Welcome to InKing Royalty's June Blog Hop! Stampin' Up! 's 2016 Annual Catalog introduced us to five new In Colors: Dapper Denim, Emerald Envy, Flirty Flamingo, Peekaboo Peach and Sweet Sugarplum. What a beautiful collection of versatile colors! Today's Blog Hop is filled with inspiring projects that feature each artist's favorite new In Color. After you read my post, I hope you'll hop over to the next person on the list at the base of this post. As you can tell by the header, my favorite color is Sweet Sugarplum. I'm a sucker for anything purple, and this purple is delightful! 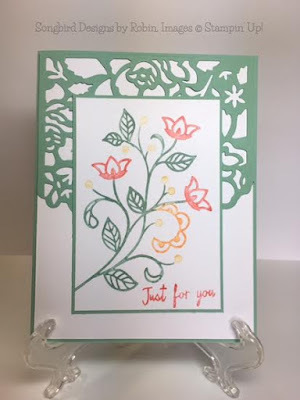 My card features the Floral Phrases Stamp Set. 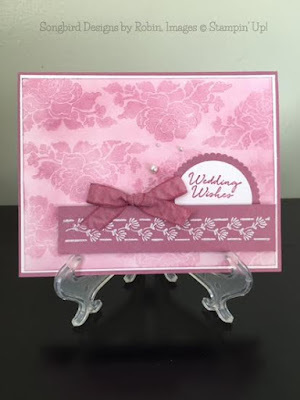 This stamp set is so elegant and I have been making many wedding cards with it. I tried a new technique (at least new to me) using Gesso for my card background. I don't want to hold up your hop, so I'm going to have a free tutorial in my newsletter next week. You can sign up for my newsletter at the bottom of this post. After my background was finished, I added several layers using Whisper White and Sweet Sugarplum. I LOVE the ruched ribbon! 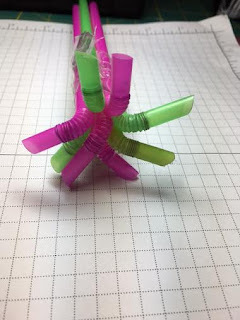 It ties like a dream and doesn't unravel. Finally, I added a few pearls for some bling. Thank you for stopping by today. I hope you'll hop along to the next stop on the blog hop, Natalie Bradley at http://www.nataliebradley.com/blog/. There's lots of inspiration to be found in this group - and you don't want to miss it! I like birthdays. I don't like the getting older part but I do like it when my kids and hubby make a fuss over me. 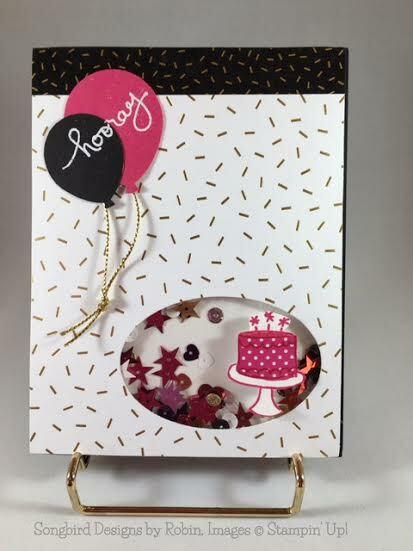 Today's birthday card uses the Endless Birthday Stamp Set along with the Pop of Pink Specialty Designer Paper. I used the Paper Craft Crew Challenge Sketch for my inspiration. The confetti paper and matching washi tape form the background for my card. 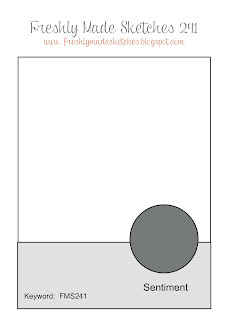 I chose to turn the oval shape from the sketch into a shaker. I used sequins from the Metallic Sequin Assortment along with some Melon Mambo ones picked from the Brights Sequin Assortment. I used the birthday cake from Endless Wishes as my shape in the lower left corner. I used balloons, leftover Metallic Gold Trim, and the stamped sentiment for the upper left corner. 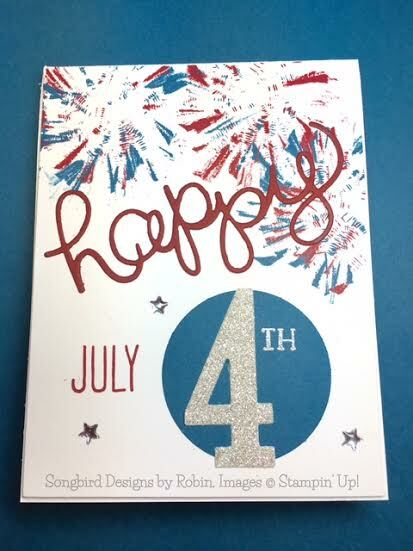 I'm sure it won't be long before I pop this cheerful card in the mail for someone special! Here is the PPA banner for the challenge. Did you guess correctly? I love this color combination.and had fun designing my card around them! I used Pool Party as my main color with pops of Island Indigo and Whisper White for accent colors. I inked the Definitely Dahlia stamp in Pool Party and embossed it. The DSP is also Pool Party. And of course, the card base is Pool Party as well. My sentiment from Flourishing Phrases is embossed in Island Indigo. 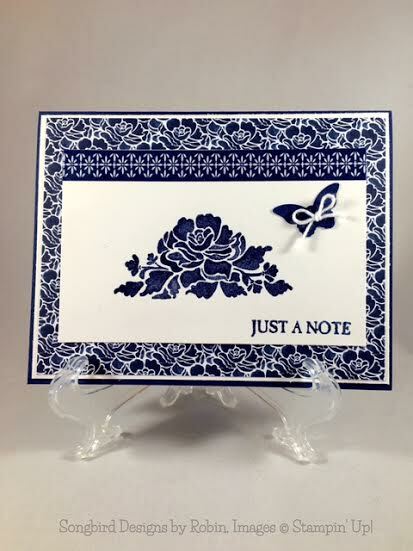 The border stamp at the bottom of the card is from the Floral Phrases Stamp Set and is also stamped in Island Indigo. The Island Indigo butterfly is cut using a Bold Butterfly Framelet. I topped it with a vellum butterfly to soften the color a bit. The Whisper White card panel, the baker's twine, and the pearls are the white contributions to my card. Pool Party make up into a sweet card but the Island Indigo keeps it lively. I like the way my card turned out. Another one of my daughter's childhood friends is getting married tomorrow. Ann and Emily met in 6th Grade and helped each other through those tough middle school years. My husband, Steve, is marrying the couple just as he has for all of Emily's close friends. Annie's wedding calls for a special card and I think I came up with one that she will like. 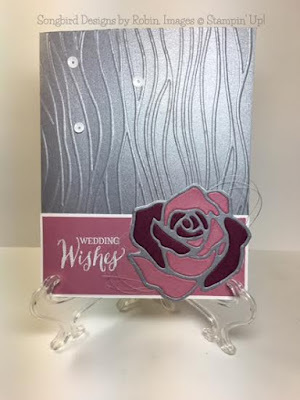 My card base is silver cardstock that I've embossed with the new Seaside Embossing Folder. I pulled out the Rose Wonder Stamp Set and the Rose Garden Thinlets for the rest. I cut the rose out 3 times. Once in silver, once in Sweet Sugarplum and once in Rich Razzleberry. I used the silver for my flower outline and the other 2 colors I pieced for the inner part of the flower. Next I stamped my sentiment in VersaMark and embossed it in white. I layered that piece on to a Whisper White piece and adhered it to the bottom of my card. I took some silver metallic thread and tousled it behind the rose which I then adhered to the card. Three white sequins are the finishing touches. I wish Ann and Tom a beautiful day for their wedding tomorrow! As you can see, I loved Shawn's card just the way it is so my CASE is very similar. 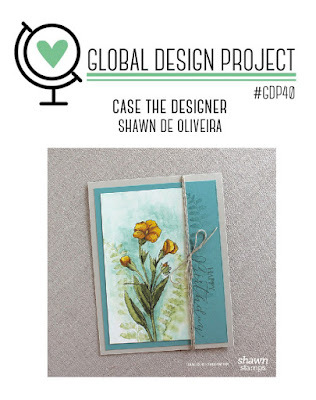 I kept the layout and color scheme of Shawn's card. I watercolored the background of the white panel in Soft Sky. I changed the flowers by using the Wild About Flowers Stamp Set and stamped the stems in Wild Wasabi and the flowers in Daffodil Delight. This is going to be a retirement card for a colleague so I stamped the "you'll be missed" sentiment in Crumb Cake. 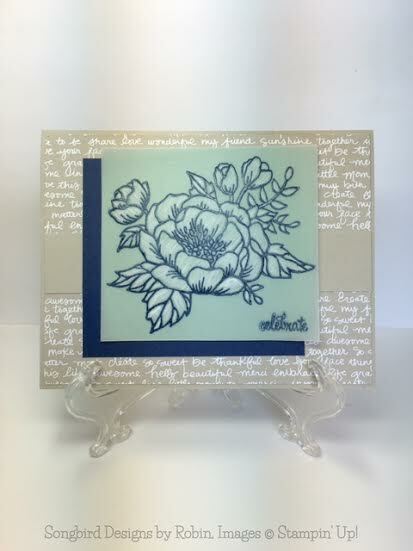 On the Soft Sky panel, I used one of the stamps from the Timeless Textures Stamp Set. I finished it off with a twine embellishment left over from a past Paper Pumpkin and mounted it on my Crumb Cake card base. Best wishes to Matt on his retirement! He's earned it! I love fireworks! I love the colors and patterns. I love to "ooo" and "ahh" when they burst in the air. I love the patriotic music that accompanies them. When I saw that the SUO challenge was Summer Celebrations and that the Paper Players challenge was Dapper Denim, Cherry Cobbler and White, I knew I was going to make a card with fireworks. Fun, right? I had a great time stamping them! 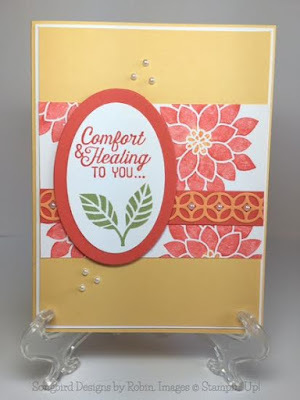 To make the rest of the card, I used the "happy" die from the Hello You Thinlets Dies, the "July" stamp from the retired Project Life Day to Day Stamp set, and the 4 is cut using the Large Numbers Framelets Dies. Did you notice the little silver stars? 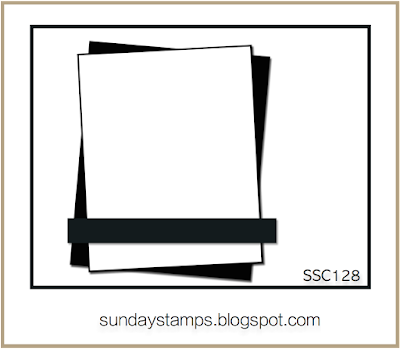 They are a new addition to the Stampin' Up! Annual Catalog. They are Metallic Enamel Shapes and come in gold and silver. Just the right touch to finish my card! Now bring on the fireworks and "The Stars and Stripes Forever"! Stampin' Up! has 2 ways you can earn free products during the month of June! NEW RECRUITS CAN EARN 2 FREE STAMP SETS! During the month of June, you earn two free stamp sets in addition to your other free merchandise when you join the Stampin' Up! family. That's up to a $104 value! You can sign as a hobby demonstrator and just enjoy the discount (20%) without selling a thing! It's the best deal Stampin' Up! has! A $350 order normally earns $42 of Stampin’ Rewards. Now $77! A $400 order normally earns $48 of Stampin’ Rewards. Now $83! Please visit my online store to place your order. I've enjoyed being outside working in my flower beds. It's a very peaceful time for me. When I came back in to make this card, I still had flowers on the brain. That's okay because the new catalog is full of lovely floral images! This card uses the flower flourish from Flourishing Phrases and the large floral die from the Designer Thinlets Dies. Isn't it pretty? I am very pleased with the way it turned out. I started with a Mint Macaron card base. After adding a Whisper White layer, I added the diecut from the larger die. It cut really well using the Precision Base Plate. My floral image is colored with markers in So Saffron, Calypso Coral, and Mint Macaron. The sentiment is from Watercolor Wings and is colored in Calypso Coral. 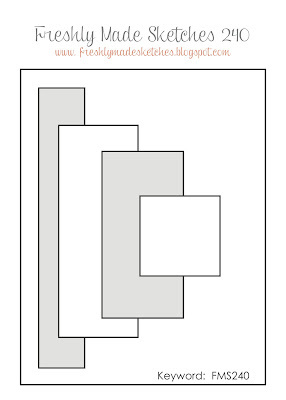 This card is really quite simple to construct but makes a big impact. That's all for today! My newsletter comes out tomorrow. Don't miss the card ideas and free tutorial! You can sign up using the form below. Hello! I'm so pleased to show you another new stamp set and the coordinatingThinlets dies today. 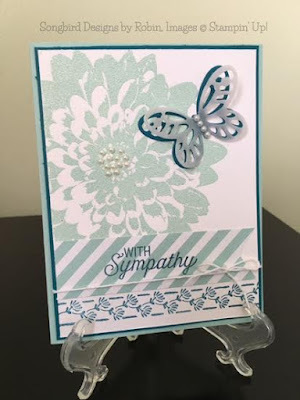 My card uses the Flourishing Phrases Stamp Set and the Flourish Thinlets Dies. The script and botanicals in this set feel very feminine to me. 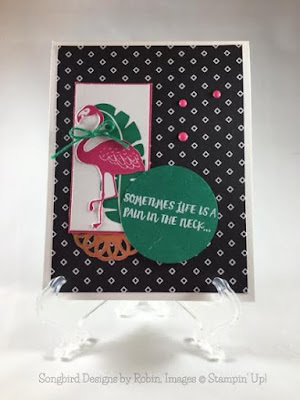 Together, the stamps and dies make up a beautiful card. 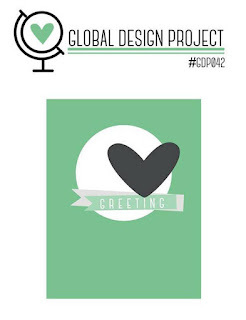 I made this card to play along with the Global Design Challenge and the TGIF Challenge. My card base is So Saffron. The other colors I used are Calypso Coral, Peekaboo Peach, and Pear Pizzazz. The flowered panel was colored with markers. The sentiment and leaf are stamped. For bling, I added pearls to the die cut and also to the top and bottom of the card. I can't wait to play some more with this set! Stay tuned to see what's next! I'm back today with another navy and white card. I couldn't resist! The Floral Boutique DSP calls to me like a siren! I used this week's PPA304 sketch for further inspiration. Sympathy cards are satisfying to make but no fun to give. I just hope this card gives comfort to the ones who read it. The lighthouse is from the stamp set From Land To Sea. I stamped it in Night of Navy and colored the stripes with my Cherry Cobbler Marker. The sentiment is from the Wetlands Stamp Set. I stamped and embossed the sentiment in Night of Navy on Vellum. Then I glued the vellum over top of the lighthouse panel. As I said above, the DSP is from the Floral Boutique Pack. Every piece is lovely. To finish my card, I added a Cherry Cobbler circle to match the sketch. I also added a couple of retired Candy Dots for detail. Finished! Hope you like it! I'm excited to debut new products from the 2016 Annual Catalog! Mr. Brown (UPS man) delivered a big box last night and I couldn't wait to break it open. I chose some of the newbies to use on my card for the Freshly Made Sketch Challenge. I cut pieces of the Floral Boutique DSP pack and backed them with silver cardstock for the rectangular blocks. This paper is GORGEOUS! Every sheet has lovely designs on both sides. 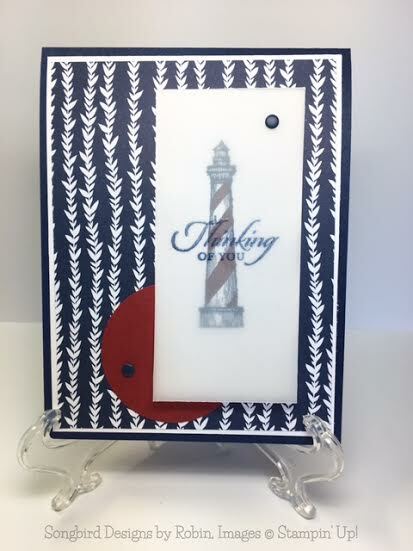 In the square, I added a Night of Navy die cut from the Flourish Thinlets Dies. The sentiment is from the Floral Phrases Stamp Set and is stamped and embossed in Night of Navy. To finish the card, I added a pearl to the middle of the flower and sprinkled a few more in other places of my card. I love the way this turned out. I may have to make a few more! I'm off to play with more new products! I chose the ship from the Traveler Stamp Set for my image. Graduating is the process that leads to the next step in your life's journey, so I thought it was appropriate. I colored the image with Dapper Denim, Real Red and Basic Gray markers and stamped it on Whisper White cardstock. The sentiment is from a new set called Thoughtful Banners. This set has so many possible sentiments to use. I chose "graduation" and stamped it in the open space on my banner image. I was able to punch out my banner with the new Duet Banner Punch. The background panel is stamped with an image from the Timeless Textures Set. I use this stamp set so often that I always just leave it on my desk. No sense to put it away because I use it all.the.time. I mounted both panels on Real Red and adhered them to my card base. The card base was jazzed up a bit with some scoring to frame my image. I wish the best for all 2016 graduates! The flash sale is here starting at 7pm! Sign up for Paper Pumpkin now and get your first kit for only $5 USD. Use promo code “ONEDAYDEAL” at PaperPumpkin.com today. Does the color combo look familiar? It's from this week's PPA challenge. I missed the deadline again! Oh well, the color combo is gorgeous! 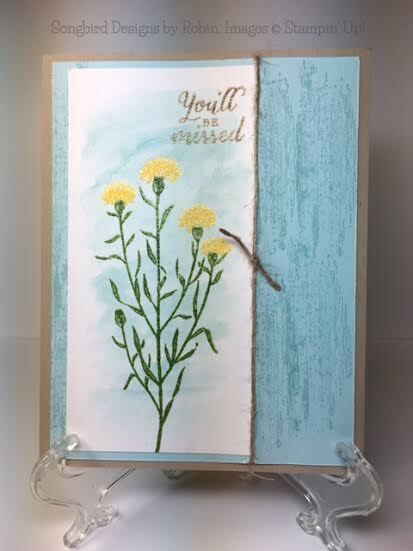 My flower and sentiment are stamped on Vellum Cardstock. I then flipped the paper over and took the small end of my stylus to emboss the flower. That's why it looks white. Cool, huh? I mounted it on Mint Macaron Cardstock using a gazillion glue dots on the flower where they won't show. 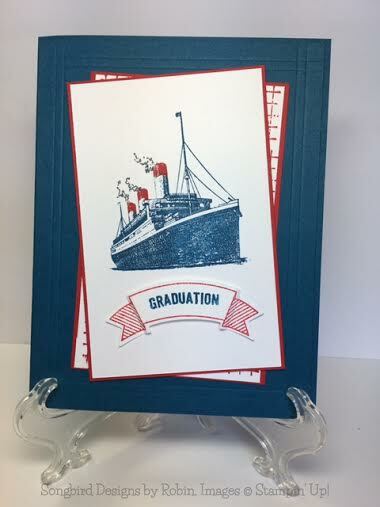 I backed it with Night of Navy Cardstock and added it to my card base. The card base is Sahara Sand Cardstock with a piece of Sahara Sand DSP from the Neutrals Designer Series Paper Stack. Hope you like it! If you want more ideas, my newsletter comes out on Wednesdays. You can sign up below. I stamped my rose on vellum with Stazon Black. I then colored the rose on the back side of the vellum using Rich Razzleberry, Sweet Sugarplum and Pink Pirouette Stampin' Write Markers. The leaf is colored using Wild Wasabi and Pear Pizzazz Markers. I adhered the rose and leaf to the white panel after cutting it out. To adhere, I used a very thin coating of Crystal Effects that I applied with my finger. The glue doesn't show at all! To finish my card, I added three rhinestones for some bling. I really like the way it turned out. I hope my friend does too!